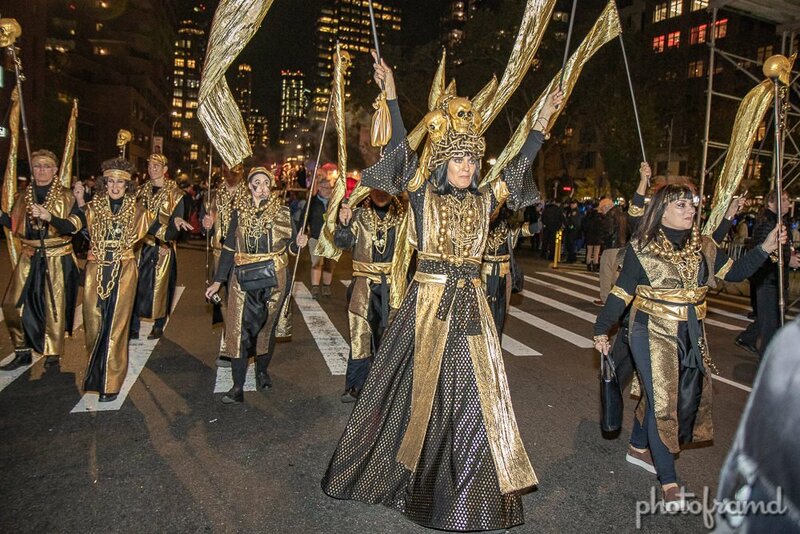 The New York City’s Village Halloween Parade celebrated its 45th year on Wednesday. The unusually warm weather brought many participants and parade watchers to the Village. 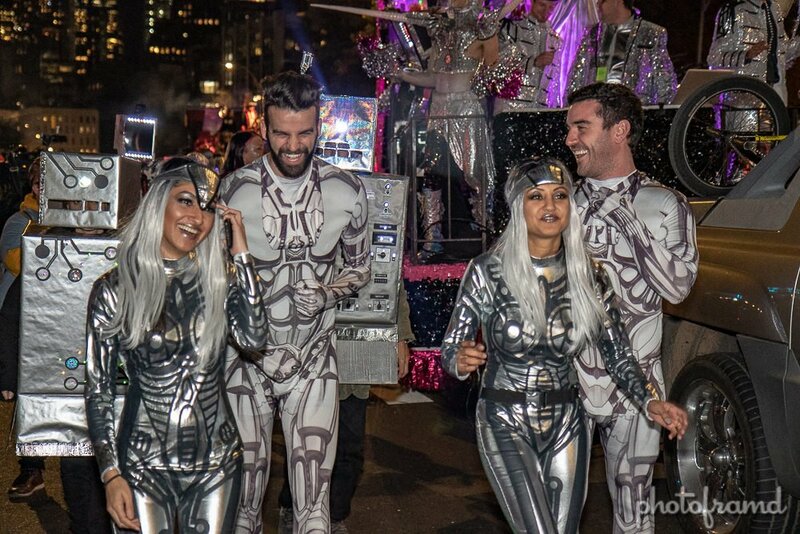 This years theme of “I AM Robot!” brought may shiny robotic and science fiction costumes. Politics were also clearly on display being so close to the November Midterm Elections. But, the bands, dancers and floats blasting music easily dominated the night and kept spirits high. 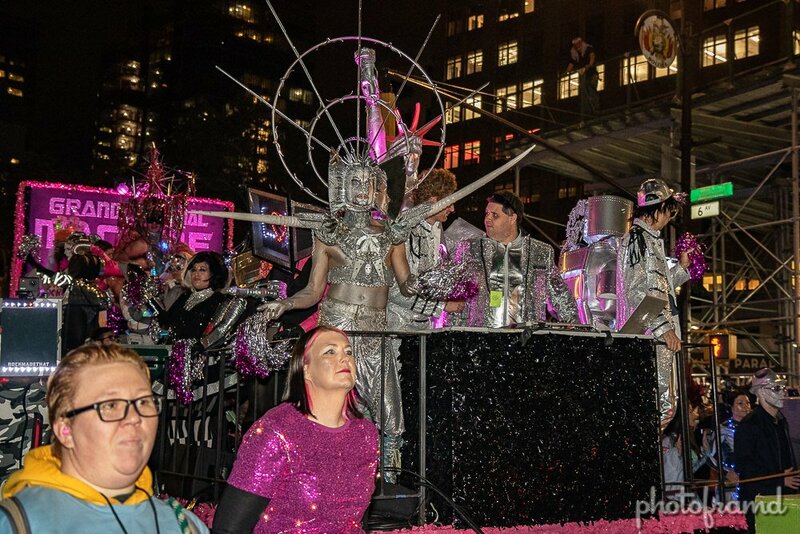 Grand Marshall Machine Dazzle’s Metropolis-themed float was an excellent robotic spectacle. 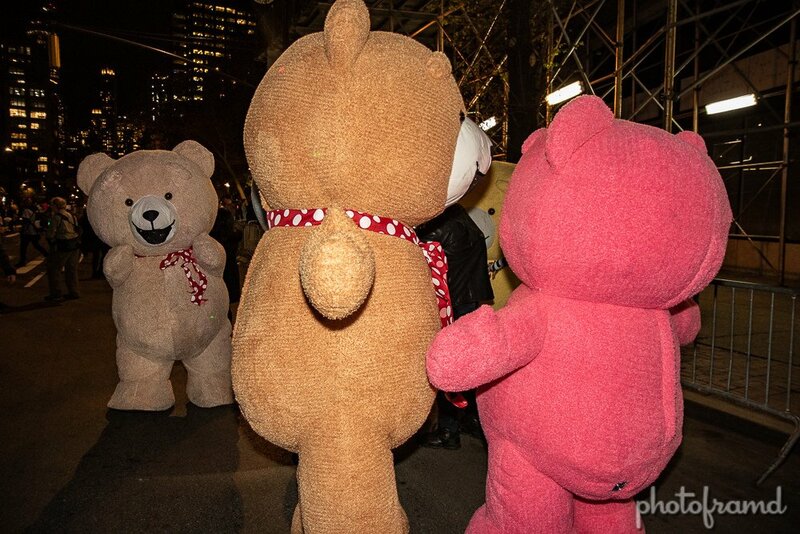 And, then these teddy bears arrived and made everyone’s night! All-in-all, it was a great evening.